The fusion between human abilities and physical sensors can potentially leverage each individual advantages to overcome current technical difficulties and is also a start to explore future human-machine symbiotic sensors. 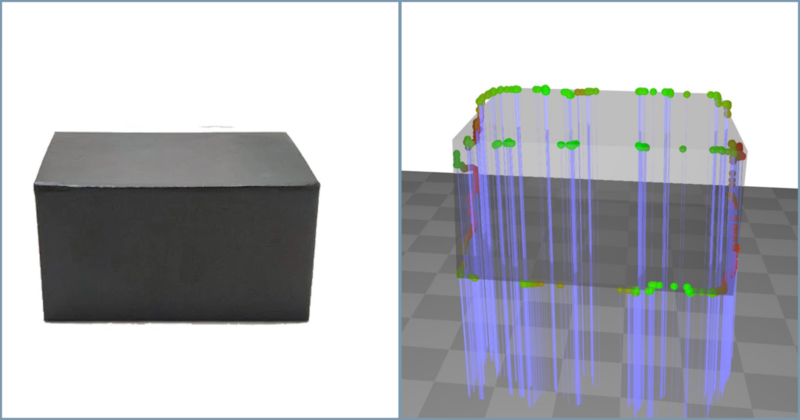 The system consists of a head-mounted Pupil Labs eye tracker and the OptiTrack motion capture system, allowing us to measure 3D gaze inside an approx. 50x50x50 cm volume. Additionally, we used a ChArUco board to measure the position of the world camera. 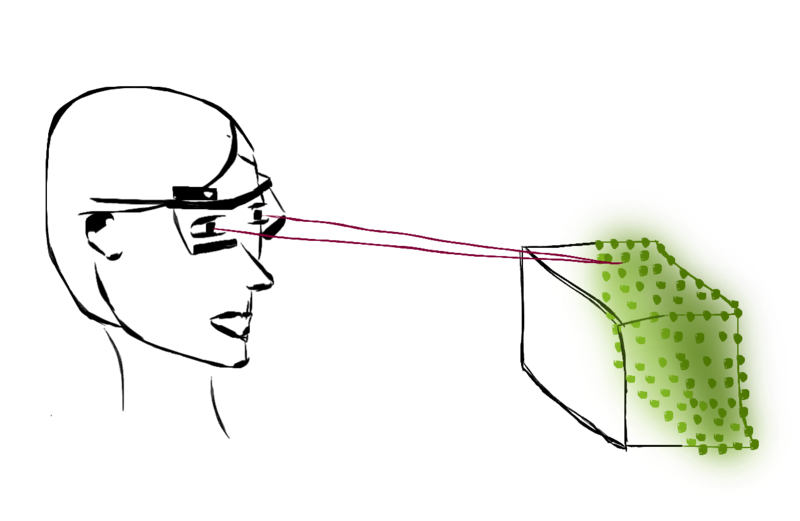 The three coordinate systems are fused together inside a Unity application, enabling to visualise the 3D gaze position in real time. 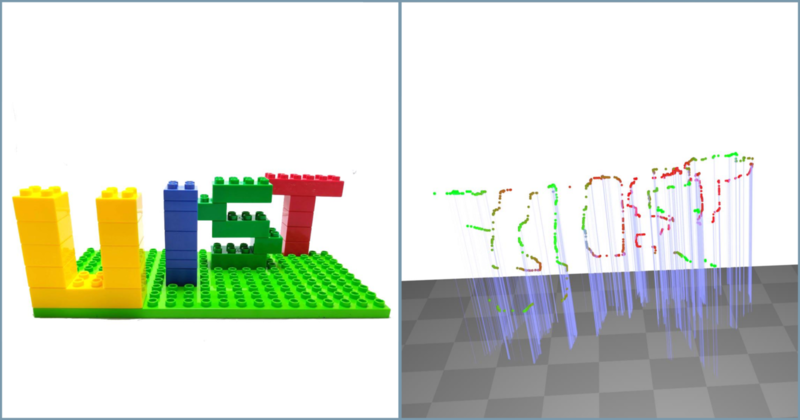 Calibration of the eye tracker with a 9-point calibration on a 2D plane in the real world (see calibration plane in Figure). 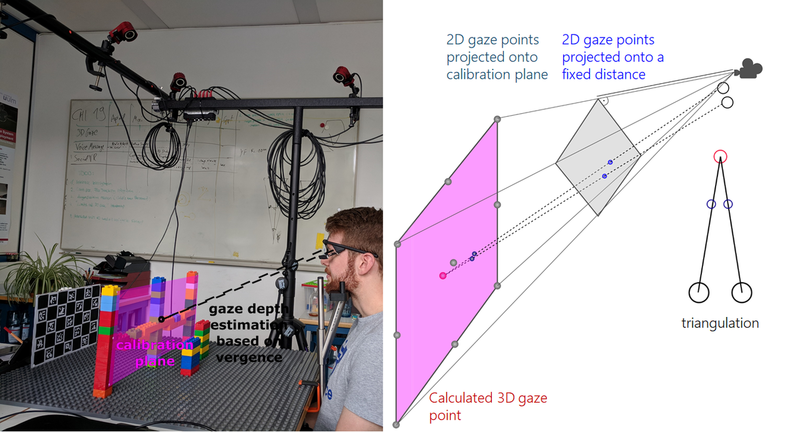 The estimated 2D gaze points for each eye (given by the eye tracker) are projected onto the calibration plane to obtain both corresponding 2D gaze points in the real world in 3D coordinates. 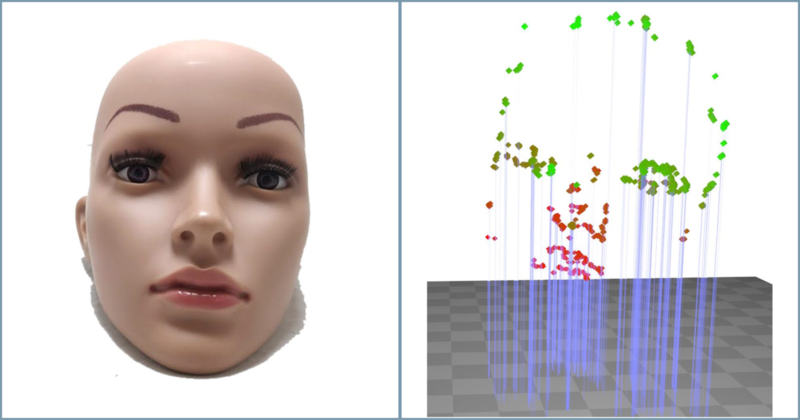 We apply gaze point triangulation to calculate the 3D gaze point by cating two rays through the user's eyes and corresponding 2D gaze points in 3D coordinates.